Documents show a Lincoln student who stabbed a classmate had brought a knife to campus two weeks earlier but was allowed back to school. Educators at Lincoln say they must balance district efforts to lower suspensions with keeping the campus safe. The afternoon of Jan. 23, near the end of the school day at Lincoln High, a student took a knife and slashed his classmate’s neck. Police officers quickly arrived. Television news crews descended on the scene and filmed the blood drops left behind. The principal sent notice to parents that day through email and voicemail. What Lincoln’s principal didn’t tell parents, however, was that two weeks earlier, the same student who stabbed his classmate was caught with a knife on campus. After the first instance, members of the student’s special education team determined that bringing the knife was a manifestation of the lack of impulse control caused by his disability. The student was soon back on campus. MaryLynn Gonzalez, a teacher’s aide at Lincoln, witnessed the injured student stumble from classroom to classroom in a daze, looking for the teenager who’d assaulted him. “He was bleeding from the side of his neck. It was really, really bad. He was going into various classrooms, dripping blood in each of the rooms. There was blood everywhere,” she said. School hadn’t yet let out for the day, Gonzalez said. She ran to the school’s main office to get help, but found a locked door and nobody in sight. A staff member finally appeared and the student received medical attention. He was taken to the hospital, where he recovered. Citing student privacy rights, Lincoln High Principal Jose Soto declined to say whether the knife the student used to slash his classmate’s neck was the same knife he’d been caught with two weeks earlier. Had the same incident happened five years earlier, a student who brought a knife to school could have faced expulsion. But owing to a districtwide shift away from discipline policies perceived to be punitive, San Diego Unified four years ago moved to a more therapeutic approach to discipline known as restorative justice. In the process, it eliminated several offenses for which principals must recommend students for expulsion. Starting in 2014, students only face automatic expulsion if they brandish a knife – that is, use it in a threatening manner. Simply bringing a dangerous weapon to school is no longer enough to expel a student. Under the new discipline model, school staff try to address the underlying issues that lead to misbehavior instead of defaulting to suspensions. But four years after the district changed discipline policies, San Diego Unified is only in its first year of training staff districtwide on how to effectively implement restorative practices. Administrators at Lincoln have been left to figure out ways to lower suspension rates while keeping campuses safe and orderly. Now, educators, parents and students are coming forward to say they fear for students’ safety at Lincoln High and worry even more about what might happen if nothing changes. Lincoln High reopened in 2007 after a $129 million rebuild – the most expensive project in district history. For the price tag, for the opportunities if offered the underserved students of southeastern San Diego, expectations soared from the beginning. Since then, however, Lincoln High has seen its student body dwindle. It has faced ongoing staff turnover and grappled with poor academic performance. Last year, just over 10 percent of students met or exceeded state standards in math and 26 percent did so in English. That was the lowest rate of proficiency in English of all district high schools and second lowest in math. Various attempts by district leaders to address the problems by restructuring or rebranding the school have fallen short time and again. Soto says violence isn’t a problem for the vast majority of students on campus, and suggested a deeper problem is press coverage that unfairly portrays the school as more violent than it actually is. But last year, more Lincoln students were suspended for violent incidents than any other high school in the district – and that’s not even counting the number of students who administrators have sent home informally, mid-day. Stewart believes the practice led to inconsistent consequences and made it harder for teachers to control student behavior. “The kids run that school from the opening bell to the closing bell,” Stewart said. Lonnie Boswell, who has worked as a long-term substitute teacher at Lincoln, said fights aren’t uncommon at other middle and high schools where he’s worked over the past four years, but he hasn’t seen any as violent as Lincoln. He said Lincoln administrators failed to take appropriate action even after a student assaulted him during class, injuring his back. “It’s only gotten worse over the years. Someone is really going to get hurt. I think something is going to explode at Lincoln. It’s right on the verge,” said Boswell. In the 11 years since the school reopened, Lincoln has wrestled with both the perception and reality of violence. In 2016, chaos erupted when a “play fight” between students at lunch turned serious. A school police officer followed a student into the parking garage and shot him with a Taser. At some point during the struggle, a student struck the officer in the head, injuring him. Other officers who arrived used pepper spray to disperse the crowd of students who had gathered. Superintendent Cindy Marten used the incident to display the district’s newly softened approach to discipline, and no students were expelled for the incident. Over the objections of the school police officers union, who said the decision set a dangerous precedent, district officials allowed the student to return to Lincoln the following school year. To the frustration of community members and students, the ordeal attracted major attention from local media outlets. In the days following the brawl, Lincoln students organized demonstrations of unity and made clear to reporters the violent incident did not define the students of Lincoln High. The survey results Soto referenced in his email came from about 100 students – 27 percent of last year’s freshman class. That represents just under 7 percent of the school’s 1,447 students. But the violence was very real in several incidents in recent years. In 2014, a student took a butcher knife to his classmate in the bathroom, slicing his hand. In 2016, a student with a long history of violent and sexual offenses was caught with a box-cutter at school – an expellable offense – and was later suspended for slapping a girl. Administrators did not attempt to expel him, and several months later, he admitted to sexually assaulting a special needs classmate in the boys’ bathroom. This year, the student who was previously caught with a knife returned to campus and two weeks later slashed his classmate’s neck. The parents of two Lincoln High students, whose names we’re withholding because they’re minors and facing threats, told VOSD their sons have been attacked, harassed and spit on by other students since September. They say they’ve repeatedly brought the concerns to school administrators, who have failed to stop the violence. In mid-January, the father took his sons out of school out of concern for their safety. They’re now at home completing coursework independently. “I have to think about my safety and my brother’s safety before I can think about my education,” one of the boys said. Soto said student and staff privacy rights prevent him from answering questions about the family’s complaints. 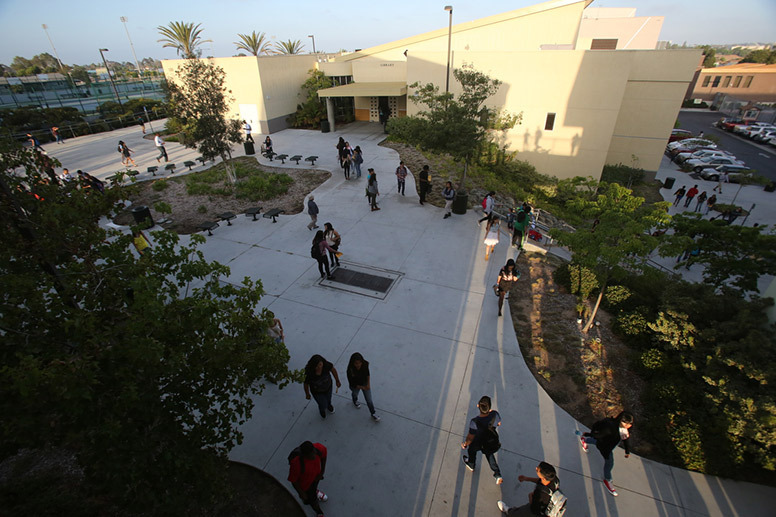 With 1,625 students, Lincoln is the ninth largest high school in San Diego Unified. But last year, Lincoln recorded 84 suspensions for violent incidents – more than any other district-run high school and more than four times the district average for high schools. And that’s not counting the unknown number of times administrators sent students home from school informally, without documenting the suspensions. In other words, suspension rates are not a true measure of all violent incidents on school campuses – they’re only a measure of the way administrators respond to violent incidents. Stewart was so shaken by her experience as vice principal at Lincoln that she left her career altogether. She still works in education, as a consultant, but said she isn’t ready to go back to work for a school, and doesn’t know if she ever will be. Stewart said she loved the students, but left Lincoln in 2016 after she said she was retaliated against for filing a harassment complaint against a superior. 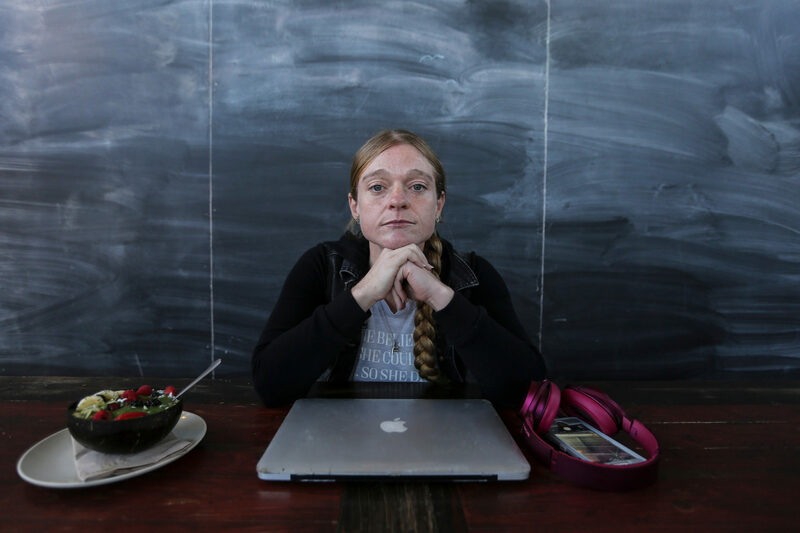 In her final year at Lincoln, Stewart was injured in a fight that broke out between two students. Stewart said she grabbed one student by the backpack, trying to pull him off the teenager he was punching, when he suddenly let go. She flew backward and injured her back when she fell. Records of fights on Lincoln’s campus show students have assaulted teachers and staff members numerous times since 2012. Consequences for such assaults varied widely. In some cases, students who assaulted staff members received a five-day suspension and were recommended for expulsion. In others, consequences were much lighter. In 2012, for example, a student punched and attempted to kick her teacher multiple times, then threw objects around the classroom. The only consequence listed on the report indicates the student had to have a conference with a parent. There is no indication the student was suspended. In fall 2016, a student ripped a handful of hair from a teacher’s head. Another student was also injured in the altercation. Documents show the student was suspended for one day. Prior to 2014, principals were required to recommend expulsion for students who assaulted teachers or staff. But that rule was among those changed when the district moved toward restorative practices, which might include gathering students together to discuss the impact of their behavior rather than suspending them. When San Diego Unified first shifted its approach, district officials said they’d provide schools with additional resources to support students and ramp up training for staff members. But, four years after it changed its discipline policies, the district is only now in its first year of training staff districtwide on how to effectively implement the strategies and evaluate whether they’re working. Stewart said she and other administrators faced pressure from school and district officials to avoid suspending kids and to keep numbers low. So instead of suspension, they started sending students home informally. “We were constantly reminded of restorative practices and told we couldn’t suspend kids. So we started to think of other ways to suspend them, like blue-slipping. We would just blue-slip them, then we wouldn’t have to document the behavior,” Stewart said. The Washington Post reported on a similar trend in D.C. Public Schools, where at least seven of the city’s 18 public high schools kicked kids out of school without labeling it a suspension. As they do with other offenses, administrators look at assaults on staff members on a case-by-case basis, said San Diego Unified spokeswoman Maureen Magee. They consider a number of factors when deciding consequences, including whether the student has a disability, is homeless or in foster care. This helps account for why students can face such different consequences for the same behavior. Magee said “releasing students with a blue slip can help defuse a situation,” but later clarified that the practice does not fall within district policy. Informally sending students home appears nowhere on the district’s Uniform Discipline Plan, a framework that’s been in place since 2012 for how to handle discipline at school. “Only in collaboration with parents or guardians are students released from school with a blue slip. In some cases, releasing students with a blue slip can help defuse a situation,” she said. But Stewart believes this amounts to inconsistent consequences for students. And if students face no consequences, negative behavior manifests and violence can spiral, she said. “If people are out there robbing banks and nobody is getting in trouble, how many more people will be out there robbing banks?” said Boswell, who worked as a long-term substitute teacher at Lincoln for the entirety of last year. Boswell is 6-foot-2 and weighs over 200 pounds. He said he believed concerns about assaults on staff at Lincoln were overblown – until he was assaulted. One day, while teaching at Lincoln, an agitated student charged into him, he said, knocking him backward into a post and injuring his neck and back. Boswell said the student wasn’t expelled, and weeks later came to school with a knife and tried to stab his classmate. He said he’s speaking out now because he’s concerned for the students at Lincoln – not only for their safety, but their academic progress. At every school he works as a substitute teacher, Boswell said, he’s found lesson plans prepared in advance for the students. Not so at Lincoln. He once taught an advanced chemistry class in which students were supposed to take a final exam, but when Boswell arrived, he found no exams to give students. He summoned Soto, the principal, who came to the classroom and handed him a stack of crossword puzzles. “He told me to just give students an A if they completed the puzzle,” Boswell said. Soto did not respond to a request for comment on Boswell’s account of the exam. Cindy Barros, president of Lincoln’s parent-teacher organization, said the problems at Lincoln are no different than those on any other high school campus. If there are issues with discipline, she said, it has more to do with a lack of resources from the central office, district rules that have made it exceedingly difficult to expel students and an administration that doesn’t always document behavior appropriately. Out of Lincoln’s roughly 1,450 students last year, 450 were English-learners, 250 had disabilities and 1,300 – about 90 percent of the total student body – came from low-income households. “When you have a population like ours, you need more resources and staffing to support them, and we’re not getting that from the district,” Barros said. Both Boswell and Stewart chalk up most of the problems to a lack of strong and consistent leadership at the school, and a lack of support from district officials. In the past 10 years, Lincoln has had five different principals. Soto, who is currently at Lincoln’s helm, is in his first year as principal.